Many families have questions about kids' summer camps. They wonder what is best for their child and often feel overwhelmed by the huge number of summer camps available. What kind of camp are you going to send your child to? Does it have a speciality such as sports or leadership? If it has a speciality, what will your child be doing? What is the curriculum or the goal of the camp? Can you talk to other parents who have sent their child to the camp? Are your child's friends going to camp with him? Will he know anyone there? Will his siblings be at the camp? Will it be a day camp or an overnight camp? If it is a day camp, are meals included? If it is an overnight camp, how long will your child be gone? Can you tour the facility before sending your children there? Can you drop in at any time for a visit? What ages does this camp accept? Are you using a summer camp as a daycare while you work or to keep your children out of trouble during the day? Where is the camp? Is it local? Is it in another state? Another country? While answering these questions remember to ask for your child's input before making any decisions. Day camps are camps you send your child to during the day. Children that go to these camps are dropped off in the morning and picked up in the afternoon or evening. 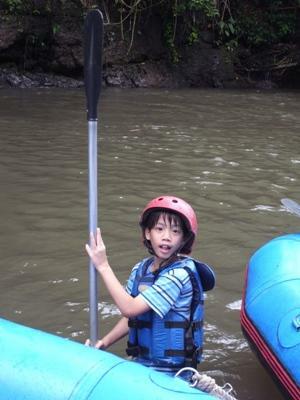 These camps often have different specialties and can offer your child a great deal of stimulation. Meals are often included in the price of these camps, but not always. Check with the director of the camp if you are uncertain whether or not to send a bag lunch with your child. Overnight camps offer overnight facilities for their campers. These camps usually offer fun nightly activities such as campfires or camping out. Meals are always included and sleeping arrangements vary. Check with your camp director about sending your child to camp with a sleeping bag. 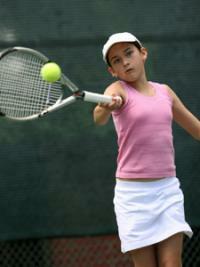 Sports camps offer training in various sports, such as basketball, baseball, soccer, or football. This type of kids' summer camp also emphasizes sportsmanship and offers a place for children with similar interests to socialize. Fine and performing arts camps are for aspiring singers, musicians, artists, crafters, and actors/actresses. There are kids' summer camps for every kind of artistic endeavor. Academic camps may also offer pre-college preparation classes. Religious camps can run the gamut from traditional summer camps full of activities with a slight religious bent to camps offering nothing but religious study. There are religious camps for the majority of major world religions. Kidcamps.com is a great site that lists summer camps by categories. It includes listings for over 24,000 programs. My Summer Camps is another great site that uses a camp directory to find the camp you want for your children. Whatever you and your child decide, a kids' camp offers a wonderful opportunity for your child to learn new things, have adventures, and make new friends.